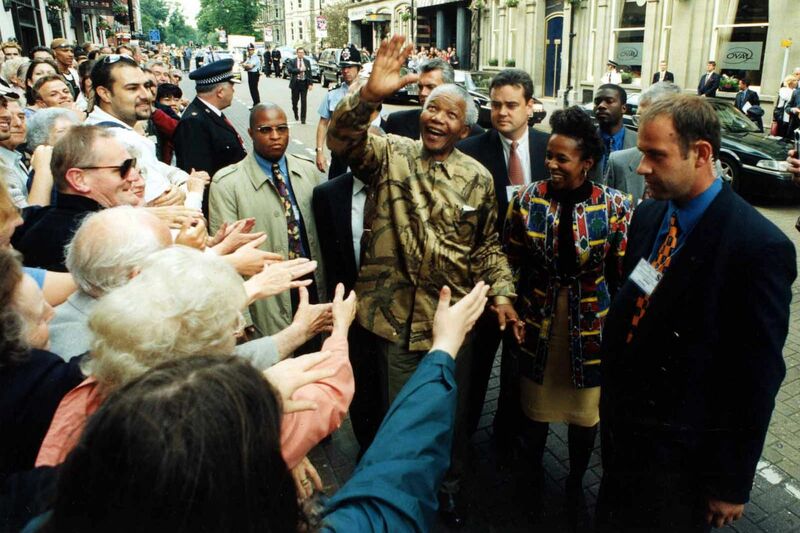 The sad news today of the great Nelson Mandela’s passing brought back vivid memories of when I had a chance encounter with him back in 1998. 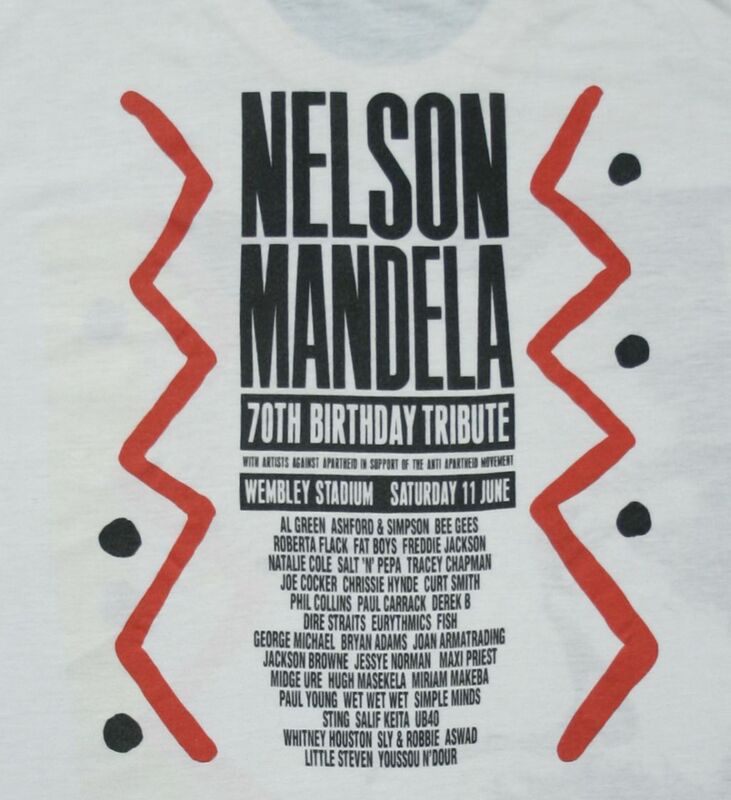 Nelson was a huge figure in my life since the first proper concert that I ever attended was the Mandela 70th birthday tribute concert in Wembley stadium in 1988 when I was a mere 16 years old. The impact of seeing some of my then favourite bands and comedians making tributes and the various films that were shown interspersed amongst the 12 hours of music had made lasting impression on me and had introduced the awful notion of apartheid to my naive young self. 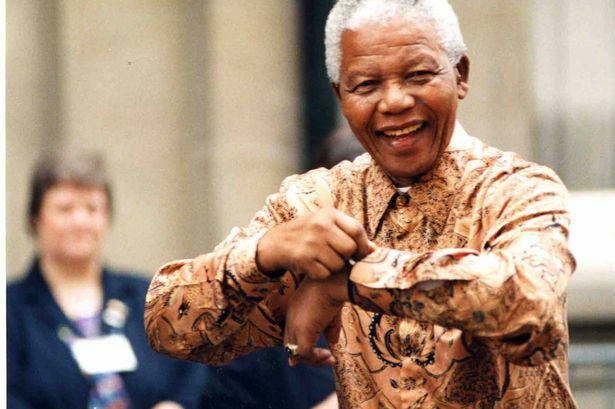 Nelson seemed to stand for true freedom more than anyone else and the joy I felt at his subsequent release from prison in 1990 after 27 years was immense. It was astonishing to see him then become the president of that very same country that had incarcerated for so long. His speeches around that time were beautiful, full of wisdom and positivity with a remarkable lack of vitriol or anger aimed at his former captors. He gave true definition to the word hero. A t shirt from the 1988 concert I attended as a fresh faced 16 year old. Fast forward 8 years or so and I found myself having to attend a pesky back to work course that benefit claimants (as I was back then) were forced to do to keep receiving payments. These courses were generally to antagonise long term doleys into getting off their arses and into a mind numbing succession of CV writing and interview techniques for non existent jobs. I had been at a music festival all weekend but had to attend if I wanted to eat that week. I blearily wandered in at 9 am and sat through the tedium and blather of the course introduction and disengaged from the waffle spouting out from the advisors who frankly didn’t want to be there either. Finally at about 3pm, I was a free man, I could leave and hurried down the stairs only to run in to a bunch of other course attendees who were idly chatting near the entrance, everyone bade their farewells and headed off in different directions leaving me with the social dilemma of walking with someone from the course who I’d rather not socialise with or walk in a different direction from my house until safely out of sight then making my return. Being British of course I had to do the honourable thing and walk in that different direction, this was something that made me chuckle as I realised I was walking completely the wrong way than I needed to go! How strange the gods of fate operate though, as I wondered down Cardiff’s Queen Street I saw a large gathering by Park Lane. Being naturally inquisitive, I squeezed through the throng whereby I saw a limousine pulling up outside a hotel. Someone exclaimed “It’s Nelson Mandela!” which I found hilarious as I saw an elderly African man clearly not Nelson step out of the car but then immediately behind him there he was! I had no idea he was visiting Cardiff and to make matters even more bizarre he had seemingly singled me out and was walking straight towards me hand out stretched and an enormous smile on his face. He moved with an elegance I’d never seen before, bolt upright and supremely dignified, there was an aura around him that felt genuinely spiritual. The next few moments seemed like a fairy tale or wonderful dream as he clasped my hand. He had beautiful soft hands and as I enthusiastically shook them he steadied me with his other hand as I blurted out “Nelson, so wonderful to meet you! On behalf of my fellow Welshmen, welcome to Wales!” He laughed so sweetly and jokingly pointed at my face and said “Thank you, thank you, by the way I like your nose ring!” Ha, my controversial nose ring that my family hated just had Madiba’s seal of approval! I was in shock, the whole episode so surreal, unexpected and infuriatingly without fellow friends to witness until I spotted Cardiff’s baffingly great and odd urban poet/bin drummer Ninjah who had been trying in vain to offer Nelson one of his cucumber sandwiches! This is very close to the moment although I am not in this shot, grrr. Ninjah can be seen though on the left near the middle. Nelson Mandela 1918 – 2013, you wonderful humanitarian, inspiration to so many, rest in your well earned peace. Cubase has received a new update today so I thought I’d write up some notes whilst waiting for it to download. I think Steinberg’s servers are under heavy demand! 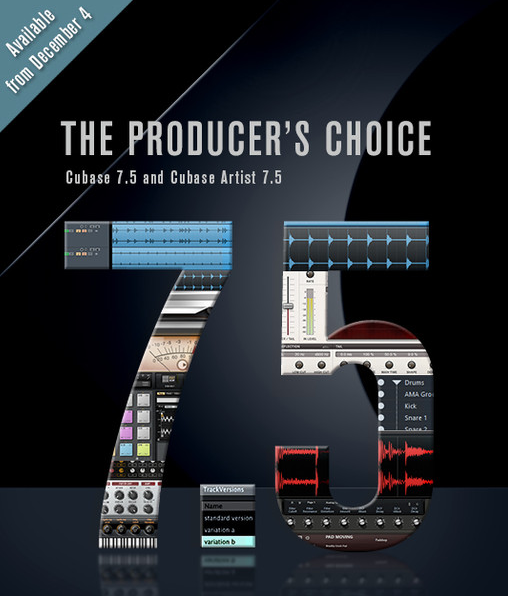 This update takes Cubase up to v7.5 but beware it is a paid upgrade (49€/49$). If you happened to have upgraded to version 7 since October 15th then you can get this update for free but for other users of v7 there is that fee. Although I always look forward to a Cubase .5 release, some people complain bitterly about these halfway house paid upgrades – i.e It is expected that you’d pay for a major v6 to v7 type upgrade but to pay for an intermediate step? I think this is Steinberg’s business model now as evinced by the same strategy when v6. came out with a similar fee. It could be argued that this is a way to ensure that Steinberg manages to get a yearly revenue from it’s customers with a major version dropping every two to three years and a half version in between. Well, what does this update offer and is it worth paying for or should users just simply hold out for the next big update which will include all these intermediate features anyway? This is another very nice and a “why didn’t they think of that before?” feature. This lets you select any tracks on the arrangement page and make them the only visible ones. You have been able to do this with the mixer as of v7 so it’s nice to see it be part of the arrangement page. You can also link the arrangement page and the mixer now so they both look the same. Examples of this could be just showing the drums tracks. You can conveniently save track view presets so viewing and editing large and complex projects will become significantly easier. Again a sensible streamlining of workflow. Prior to the invention of instrument tracks, to host a VST plugin, one had to put the plugin in the rack, and then create a midi track and assign it to that. Instrument tracks sped up the process by just creating an instrument track and midi track combined but lost the ability to have a single VST instrument output multiple audio outputs, this new combining of both approaches is definitely welcome. Put an instrument in the rack and it instantly creates a midi track routed to it or create an instrument track like before and the instrument appears in the rack automatically. This looks like a radical overhaul of the rather simplistic version of Groove Agent in v7. They have obviously taken a good look at Native Instruments Maschine (see my feature here) and also Akai’s long running MPC range and have tried to incorporate some of those workflow ideas. 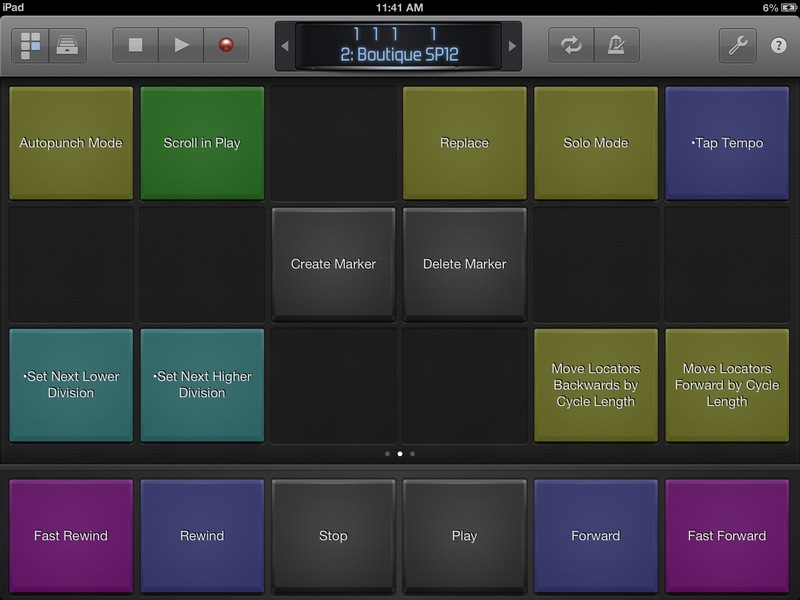 It has a huge slew of new features on board including pattern editor and a suite of dedicated effects. There are also new drum kits to play with. Could be interesting to some. They are essentially 30 complete songs made up of midi files that are assigned to the various synths and drum machines within Cubase. The idea is that they give you starting blocks to inspire. I’m not sure it’s the sort of thing I’d use but maybe good to build tracks in a hurry and then fiddle with the content later. Ah this looks fun. Fans of Izotope’s innovative stutter edit will like this as you can apply those peculiar twists and turns and beat repeats on any material now not just the loops within the previous Loop Mash plug in. Assign a midi tracks output to the track with Loop Mash FX inserted on and then have some serious fun making your audio jump through hoops! Aha Magneto returns! Long time Cubase users will remember the original Magneto, a tape emulation plugin, from way back. It’s nice to see it return in hopefully an even better sounding incarnation. Interestingly it appears in two formats within Cubase 7.5, as a vst plugin or as a component within the channel strip which makes a lot of sense for those who want to run it on every track to emulate a tape based project. 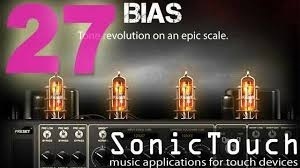 I am still yet to try this which came out with v7 and allows musicians all over the world to essentially become plugins within an input track ! The new version allows not just audio but midi to be recorded from your connected contributors. This has been in Cubase for a long time but now takes place automatically without you having to go into the audio editor and set it manually. Also being able to do this within the arrange page will speed up editing significantly. If you are a user of the score editor, you may be pleased to learn that you now have a whole wealth of midi editing facilities within the score editor now rather than having to tediously swap to the key editor every time you want to say quantize or other such midi edit operation. I will return to this post once I have completed this download. I played a cool gig last Friday night with Asteroid Deluxe, the free form kraut rock inspired space rock band that I setup with my great friends and musical collaborators Andy Taylor and James Phillips. Dani Landau and Mat ‘DJ Dinnermoney’ Wigley are also sometime members but this gig was just the three of us initially. I was using my Roland GR55 midi bass for all sorts of odd brass, detuned flutes and distorted cellos as heard in the video extract. Dani was up at the back of the auditorium mixing the whole shaboodle when he sneakily started playing along out of sight on his bass clarinet. Andy the guitarist naturally assumed it was me on my midi bass! We played this non stop 45 minute warpathon to a small but dedicatedly frazzled crowd at Bristol’s venerable Cube Cinema. This is a real jewel of a venue as it is run by an enthusiastic bunch of volunteers and has an always inspiring combination of films, music and art events happening. There is an attempt to buy the freehold for the building which would be great of Bristol ensuring that it will keep running the way it is not cowed by commercial concerns. Read about that here. The performance was part of an evening called ¡hen~do which was a multimedia event of much mayhem curated by Dani Landau and Mr Hopkinson. The XYZ Saw Ensemble, Attacked by Wolves and The Da Da Workout were just some of the performers taking part in this good natured and completely batty event. Asteroid Deluxe’s mission statement is to play the most mindbending, psychedelic and freaky music this side of Alpha Centauri! We recently recorded a suite of tunes called The Moons of Jupiter at The Manic Street Preachers’ Cardiff based recording studio. This will hopefully be ready for release early next year. Here is an excerpt from Callisto. Another new episode of our iPad/touch devices show Sonic Touch has just been released, episode 27 no less. In this show we look at Positive Grid‘s new amp modeller Bias which I think is rather nifty. I enjoyed making this show as I got to twang away on a guitar for a change! We also looked into a new feature of iOS7 called inter-app audio which allows for the routing of the sound of one app into another. This is similar to the third party Audio Bus which has been with us for a year or so but is built in at an OS level and thus is more practical. Currently there are not too many apps which support this but I think that will change drastically over the next few months. More music tech goodness to chew on folks! I decided to make a short film showing the integration of a bunch of new things, Logic Pro X, the iPad Air plus the Native Instruments Maschine Studio running the V2.0 software. They play really well together! I have made no attempt to hide my distaste of the music software Logic in the past, perhaps because I am a long time Cubase user it is ingrained in me but also I just think that for years it has really lagged behind other DAW’s too. Well, I have changed my mind, slightly! I had to buy Logic due to a collaboration with an artist I am working with. It just made sense to do this rathe than both of us lose time with trying to convert the projects back and forth between our systems. Besides this artist, there is another that I will be working with soon who is also on Logic X too. I had previously bought (against my wishes!) Logic 9 which I hated with a passion so I wasn’t too thrilled at the prospect of spending more time in Logic land. We’ll I need not of worried too much as Logic X is a huge improvement over its predecessor. The much needed facelift has finally banished those tiny menus and the relocation of things like the transport bar to the top has made the workflow more intuitive. Track stacks bring a Reaper like function when you group a bunch of tracks into a folder, that folder gains a dedicated fader – are you listening Cubase? 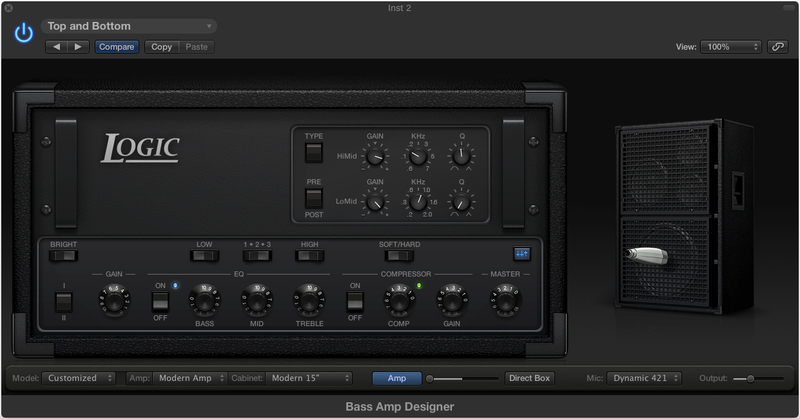 There is now a bass amp emulation called Bass Amp Designer and low and behold when I first instantiated (correct term!) the plug in I was faced with a graphical reproduction of my classic old bass amp a Mesa boogie 400+ and my old cab too, the quirky 1516. I have never seen these emulated before and I was really impressed with how it sounded. There is the much talked about Drummer plug in which lets you choose drummer by personality (?) and also you now have a basic Melodyne like functionality called Flex pitch which I have yet to try amongst countless other improvements. The show stopper for me though is the clever Logic Remote app for iPad. Borrowing heavily from the iPad version of GarageBand, this controller allows you to mix, edit and perform using a very intuitive control surface. Interestingly they have taken the Smart instruments idea and made them in to controllers for the Logic instruments. 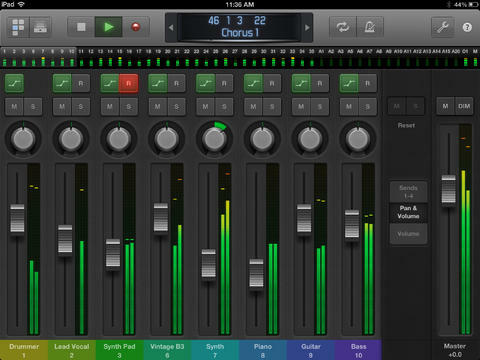 I marvelled at the design of these a few years back when they debuted on the iPad GarageBand so they are welcome here. 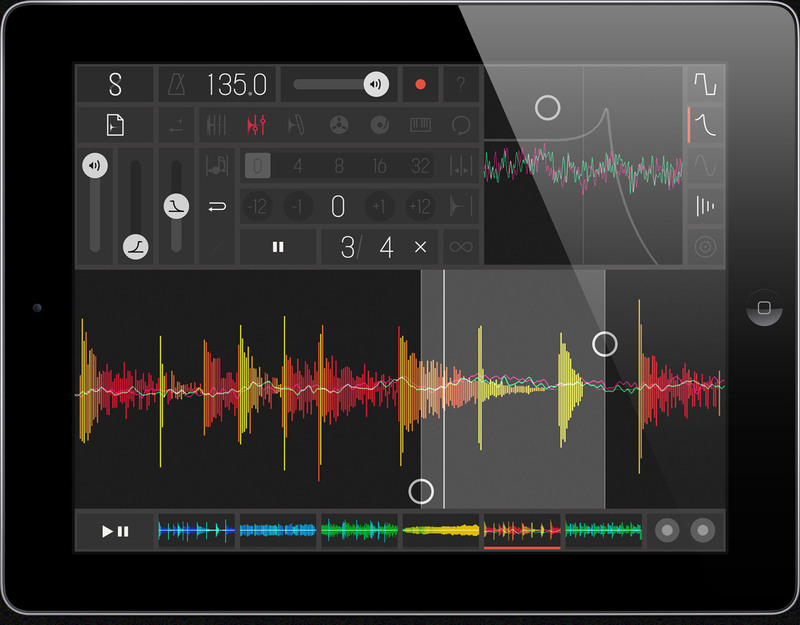 These essentially let you turn the iPad into various types of midi controller, a guitar simulator, drum pads and chord strips on top of a regular piano keyboard that can also have notes stripped away to display only in key notes. Cleverly these follow whatever the region’s key is which is set in the main info panel at the top of Logic X. I have been banging on for nearly a year now about the wonderful chord track in Cubase, well Logic gets a halfway house now with the arrangement track combined with being able to set keys for regions. In practice I have found the Logic Remote to be the most robust and reliable of all the different iPad based control surfaces I have tried. Probably to do with some secret voodoo that Apple have going on that is closed to all and sundry however it works very well and maintains connection quickly after bringing the iPad out of sleep. This was the killer in the past for other controllers as it would often mean that you would have to jump through a few hoops to get things synchronised again. One feature I particularly like (which the Cubase Equivalent, IC also has) is the ability to create shortcuts and macros and give them dedicated buttons. 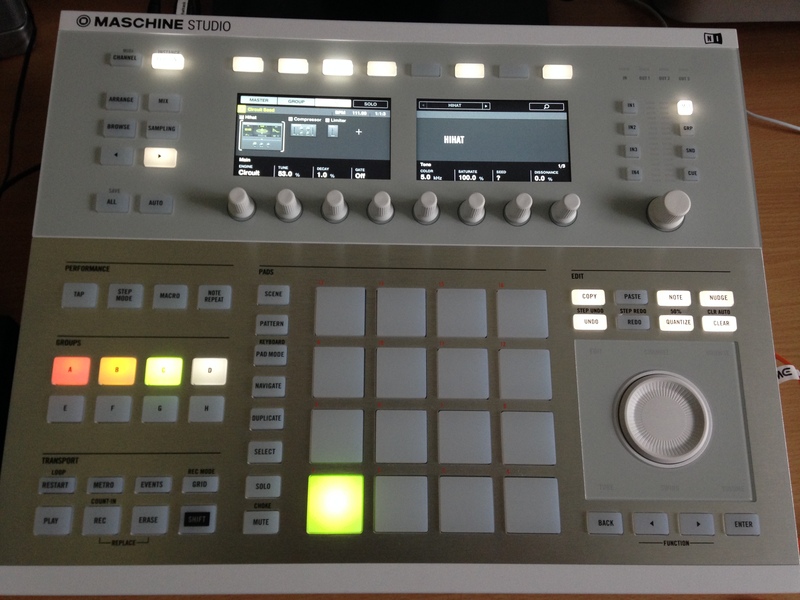 You may have read my Maschine Studio and software review or saw my Sonic State review. If not you can find them here so I won’t go over old ground as to what it is needless to say though that you can run Maschine software as an Audio Unit (AU) within Logic X. The cool thing with doing this is that the Smart Instrument controllers operate on the Maschine too via Logic’s own routing. I didn’t have to set anything up, they just worked. This is very cool as it allows for Ableton Live Push like functionality which was left out of Maschine v2.0. This means you can use the aforementioned preset scales on the sounds within Maschine. I try and demonstrate this in my video so I recommend watching that to see it in practice although the tune I make is quite meh! 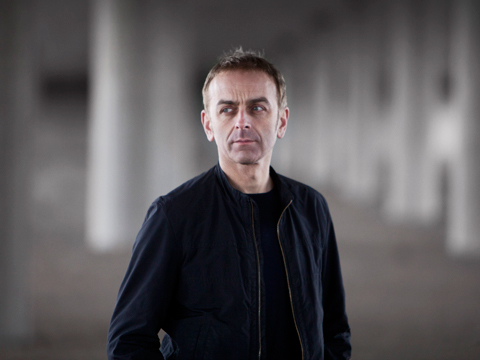 This year I was fortunate to perform a world tour with Karl Hyde, front man of Underworld. Karl released his first solo album, Edgeland and I was recruited to play bass for the resulting tour. Karl had been searching for someone who was a bassist but also adept at music technology. Our mutual friend, the fabulous Dave Spiers from GForce software, recommended me to Karl and we instantly clicked. Karl had spent his formative music years in Cardiff and to our great surprise we had numerous old friends in common. Karl put together a great small band for the tour including Angie Pollock (Goldfrapp/Peter Gabriel) and Peter Chilvers (Brian Eno). 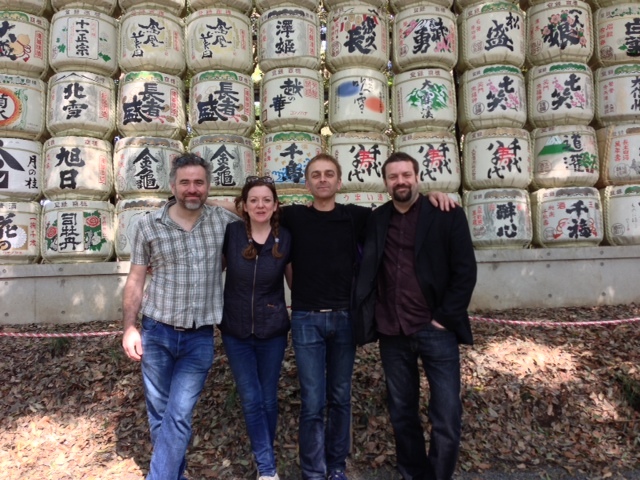 Here is the band (from left to right) me, Angie, Karl and Peter. 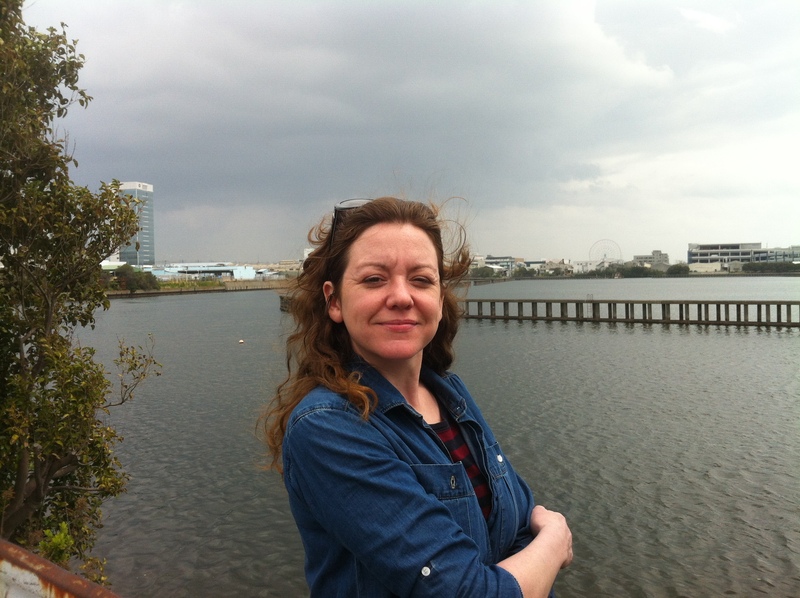 The photo was taken in Yoyogi park in Tokyo on our first visit. After seeing this photo, we joked that it is my arm resting on Peter’s shoulder! Karl is an extremely likeable chap. He is funny, smart and restlessly creative. In fact to accompany his album Edgeland he made a feature length documentary with notable Welsh director Kieran Evans called the Outer Edges which explores the largely unloved areas where a city touches the countryside. These themes of loneliness, isolation, dereliction but ultimately salvation crop in numerous songs on the album lending a cohesive feel to the proceedings. Below is a short clip outlining Karl’s decision to make both the album and the film. Below is a video from the superb gig we played at London’s Union Chapel. The song is 8 Ball, an Underworld classic from the Danny Boyle film The Beach. Karl has had an incredible career which dates back to the late 70’s in said Cardiff. Through the synth pop of Freur to the guitar centric Underworld mk1, Karl went through various musical shifts until him and partner Rick Smith hit on the perfect marriage of techno beats and stream of consciousness lyrics in the early 90’s. Freur were an interesting amalgam of influences and although they didn’t have big hits in the UK, they were very popular in Europe especially in Italy where their biggest hit Doot Doot is still often heard. Below is a link to Freur playing Doot Doot live. for some, this song represents a pinnacle of synth pop as it has become a cult classic over the years. During this tour with Karl, we resurrected Doot Doot and played it at a few of the venues to much acclaim. The show in Berlin was especially touching as the noted (and sadly departed) German producer Conny Plank’s son was in the audience and was visibly moved by this performance. Conny had worked extensively with Freur hence the connection. 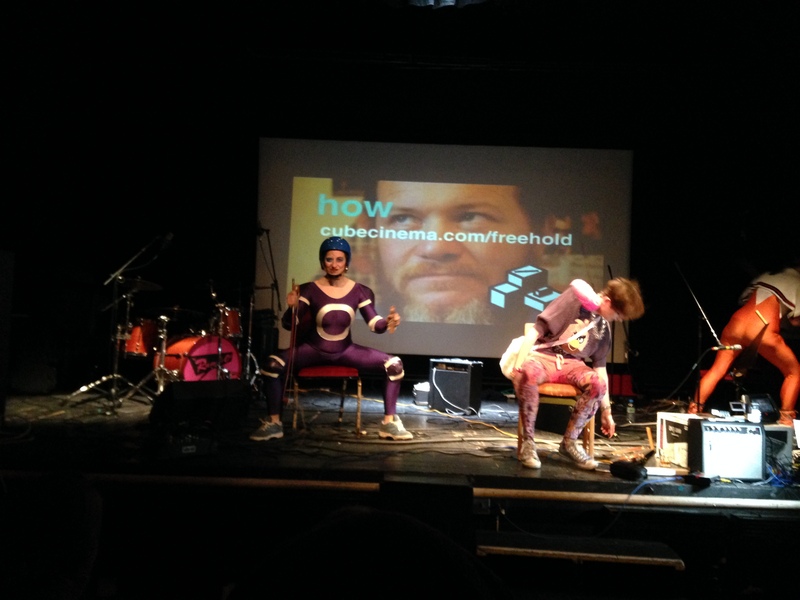 And here is a very early version of us playing it live at the tiny warm up show we played in Komedia in Brighton. This was a terrific gig for us as there was a fabulous atmosphere in the audience with plenty of friends. Some of the UK’s electronica royalty turned out for this including Orbital, Future Sound of London and The Grid. 2012 saw Karl’s biggest endeavour to date as he and partner Rick Smith were the musical directors for the opening ceremony of the London Olympics. Reuniting once again with director Danny Boyle, they set about creating a truly memorable event which blew peoples minds around the globe and defied the British expectation that following on from Beijing’s astonishing ceremony, that ours would be ‘a bit rubbish’. 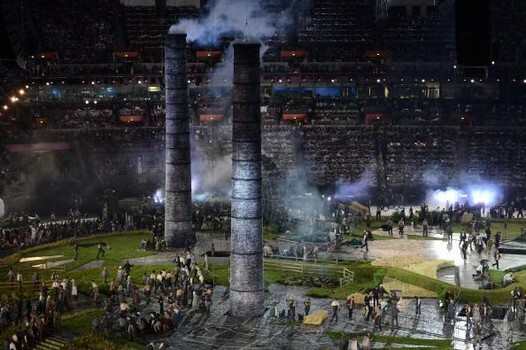 Underworld even composed the music (Caliban’s Dream) for the lighting of the Olympic cauldron! Karl’s album was the next thing he did after being involved with such a magnificent event. In fact he wrote it in downtime during the punishing rehearsal schedule for the ceremony. He collaborated with the London based and supremely talented guitarist Leo Abrahams who produced the album. After the album (which I did not play on) was complete, it was then he set about putting the band together for the tour. Karl had been working with Brian Eno, the legendary producer and inventor of ambient music (amongst other accolades) and through him got to know long term Eno collaborator Peter Chilvers, who became the musical director of the band. As well as being a terrific musician, Peter has also worked with Brian on the generative music apps Bloom, Trope and most recently Scape. The lineup was complete with the addition of myself and the inimitable Miss Angie Pollock. Angie has had an unbelievable career to date. She started her professional work with ex Specials front man Terry Hall at the tender age of 17 and then went on to play with (amongst many others) Shakespear’s Sister, Lightning Seeds, Suede’s Brett Anderson, Peter Gabriel and Goldfrapp, who she is currently touring with. Angie in Tokyo, April 2013. The tour took us around the world and we played some amazing gigs such as Sonar in Barcelona and in fact we headlined at Tokyo’s own Sonar festival too. 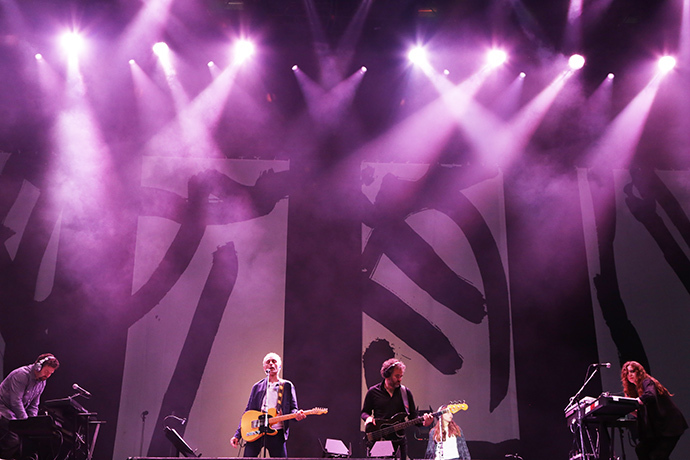 Australia was particularly exciting with a sold out gig in Sydney Opera House. 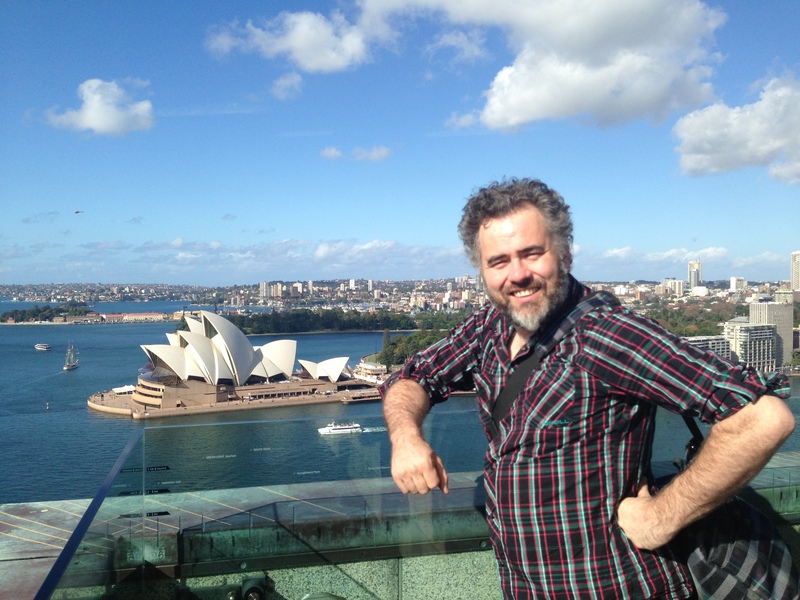 Here I am on the top of the Harbour bridge surveying the scene before the evening’s gig! The show in Sydney was part of an annual festival they have there called Vivid Sydney in which the harbour becomes a giant canvas for some spectacular lights and lasers. The Opera House itself is used as a backdrop for projections and it was remarkable how detailed they were and how well the projections mapped to to the sails of the building. It was thrilling to know that we were to be playing inside that iconic place especially with those glorious projections going on. 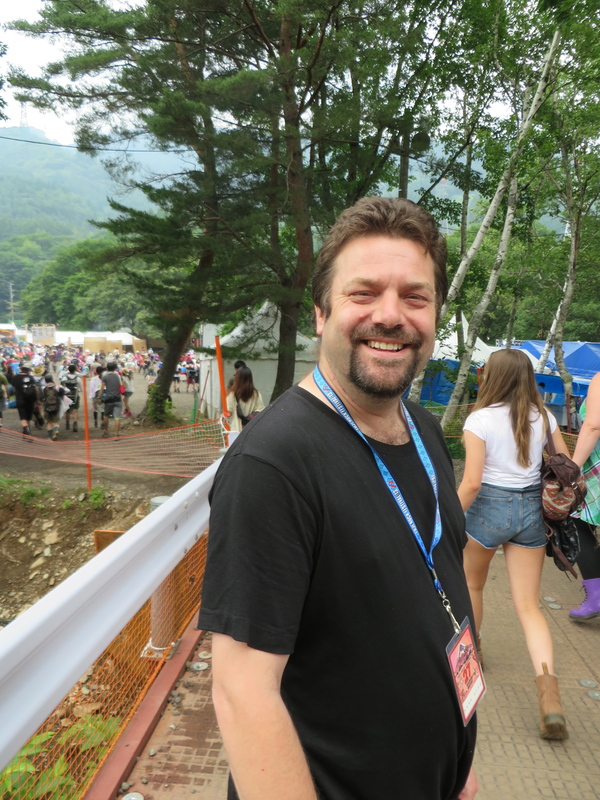 The tour finally wrapped up at the end of July with the biggest and best show at the venerable Fuji Rock festival in Naiba, Japan. This is the Japanese equivalent to the UK’s Glastonbury and is set in the stunning mountains of Naiba in the central part of Honshu. We were the second headliners on the Saturday night on the main stage and had the much coveted sunset slot i.e. starting in the light and climaxing in the dark. We changed the set around a bit for this show too, taking out some of the slower numbers and adding some more uptempo stuff more suitable for a festival crowd. Something made this show extra special for me was that it took place at the tail end of my honeymoon and my new wife was sat in front of the mixing desk, clearly visible to me amongst the tens of thousand Japanese music fans! Here is a video that my wife Fiona took of the finale, 8 Ball.